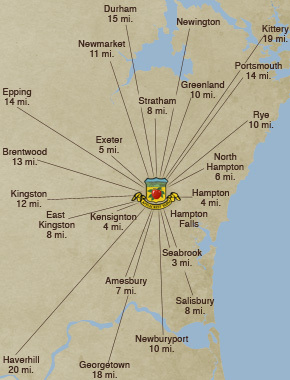 At sign-up, CSA Members choose one of several convenient pick-up locations including downtown Portsmouth, Kingston or the main farm in Hampton Falls. All sites are easily accessible and have ample parking. Share boxes are retrieved by the member on the appropriate day and time for their chosen location. Pick-ups occur once weekly for the duration of the 20 week growing season. Interested in fresh fruit and veggies delivered straight to your office? 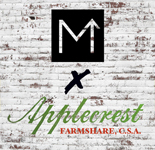 The Applecrest WorkShare, CSA program currently delivers to multiple corporate locations in the Seacoast area, including Pease Tradeport and Stratham’s Domain Drive. For office employees looking to improve health and lifestyle, gather troops of twenty or more and we’ll see what we can do! NOTE: WorkShare, CSA locations are company controlled private pick-up sites for employees only. Want to learn more? Click here for information. Can someone else pick-up my box for me? Absolutely. As part of the sign-up process, primary members are able to designate additional people authorized to act as their "agent." Whether they be neighbors, friends, family members or coworkers, these individuals will be "on-the-list" and able to pick up your share in the event you are unable. If leaving for vacation and unable to find someone who wants a free box of fresh, delicious produce, FarmShare members can easily reschedule to an alternative pick up day or place their shares "on-hold" while they are away. Basically, this means that we do not build your share and, as a member, you forgo the share and its value for that time period your share is on-hold. Please understand that we cannot double up in subsequent weeks or allow for ‘make-up’ shares. FarmShare boxes will be ready for pick-up at the farm on the designated date and time as established by each member upon sign-up. The box is guaranteed during these pick-up hours. If no prior arrangements have been made and you (or your agent) do not pick up during designated hours, your box will be considered a donation to the local food bank.